There are 2 ways you can manage a user's project access in BugHerd. Anyone with access to a project - other than Guests - can add/remove users on a project. To do this, open the project in BugHerd and click the "edit" links in the Kanban Sidebar (see image below). This will open the "Share Project" popup (see below) where you can Add Users and remove them from the project. To add an existing Team member to your project (e.g. a user who already has a member/guest account in your BugHerd organisation), simply start typing their email into the invite box. BugHerd will automatically suggest matching users that exists in BugHerd. 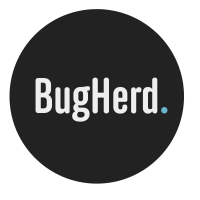 If you are an Owner or Manager of your BugHerd Organization you have access to manage your BugHerd Team. For more about user roles in BugHerd, see here. The "Team" screen is the simplest way to manage a user's access to multiple projects. Just search for the user and click "Edit Project access" (see below). From here you can simply check/un-check the projects you would like the user to have/not have access to. Easy. We hope that gives you all the info you need to get started managing access for your Team and Clients in BugHerd. Of course, if you have any questions or need some help, get in-touch with us on support@bugherd.com.